VRI stocks used plate heat exchangers of various models of ALFA LAVAL, GEA-ECOFLEX, APV, SONDEX, TRANTER which are refurbished to replace old/damaged plate heat exchangers of same models. 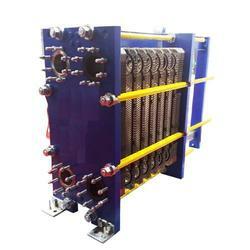 We perform the following operations on the Plate Heat Exchangers. We can also supply new PHE's, Chillers and pasteurizers as per the requirement of temperature, pressure and flow rate.